The CIA Factbook is full of data in tables about the world. 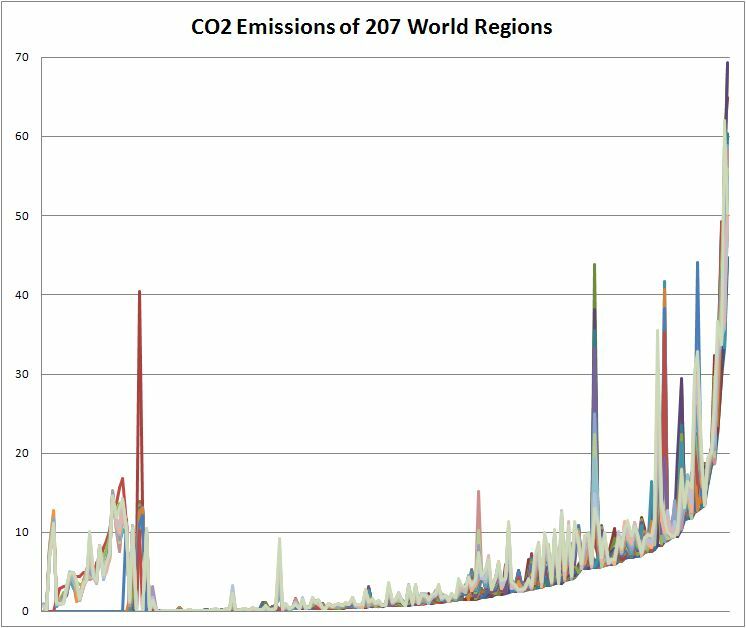 Below I downloaded CO2 emissions from 207 world regions and visualized them in Excel and with my prototype software. The added value is to be understood in an evolutionary context. First we put data into tables, then we learned to visualize them as curves which, as an image, immediately tell us more than a series of data. 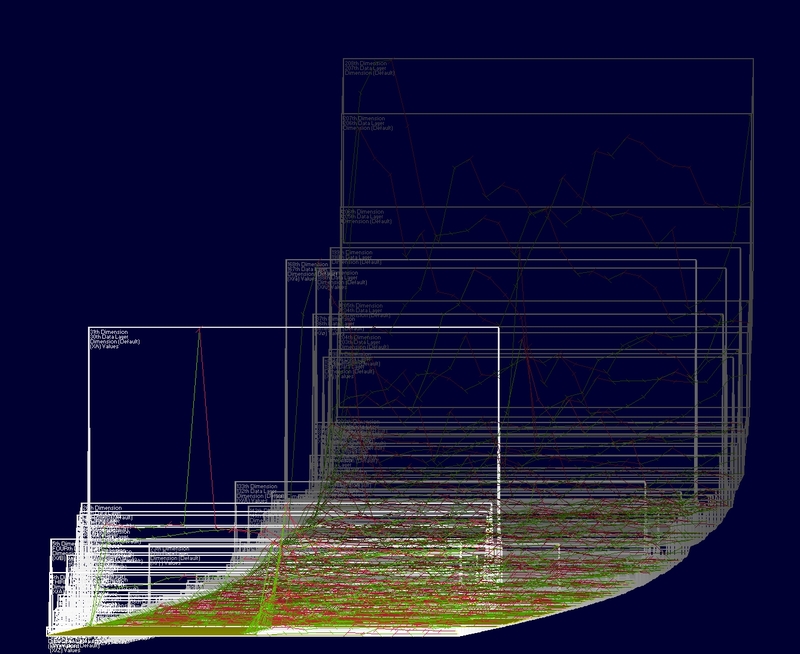 Then spreadsheet programs like Excel perfected the process of visualizing data by offering different kinds of charts. scope for further quantifications through other parameters. This entry was posted in Layering multiparametric data, Open Data, Visual Data Analysis and tagged CIA, CO2, data visualization. Bookmark the permalink.